Initial details from Bombardier reveal that United’s CRJ550 cabin will feature ‘more overall legroom per seat than any other 50-seat aircraft flown by any US carrier’. 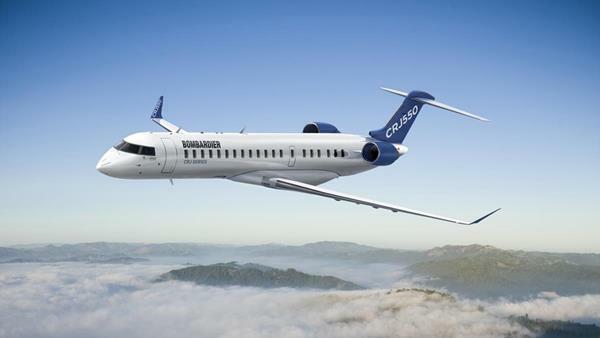 This year United intends to introduce 50 Bombardier CRJ 550 aircraft into its regional fleet (subject to government certification), eventually replacing the airline’s existing single-cabin 50-seat aircraft. The 50-seat aircraft will be fitted with 10 United First seats, 20 United Economy Plus seats and 20 United Economy seats, enabling the airline to offer premium seats on more connecting flights from smaller cities to the overall global network. 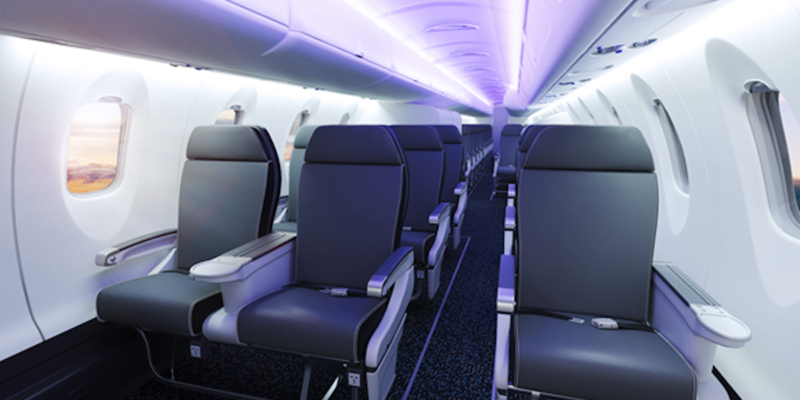 The cabins will also feature LED lighting, a self-serve beverage and snack station in the premium cabin, and inflight connectivity. In addition, the CRJ 550s will feature four storage closets, with enough room for customers to store their carry-on bags – indeed the airline claims this will make the CRJ 550 the only regional jet that will not require customers to routinely gate check their bags.